Could Euro-commuting be for you? For those of us who are addicted to London and all its charms, part of the price we pay for living here is a stressful, expensive and often long commute to work. But don’t worry – a more glamorous commute does exist. It turns out that more and more people are moving abroad and commuting to their jobs in London on a weekly, or even daily basis from places like Paris or Barcelona. The more relaxed lifestyle on the continent, combined with some crazy savings on transport and housing, make the longer trip well worth it. Plus, in some cases the commute is about the same time it would take you to cross London during rush hour. Just remember your passport when running out the door. 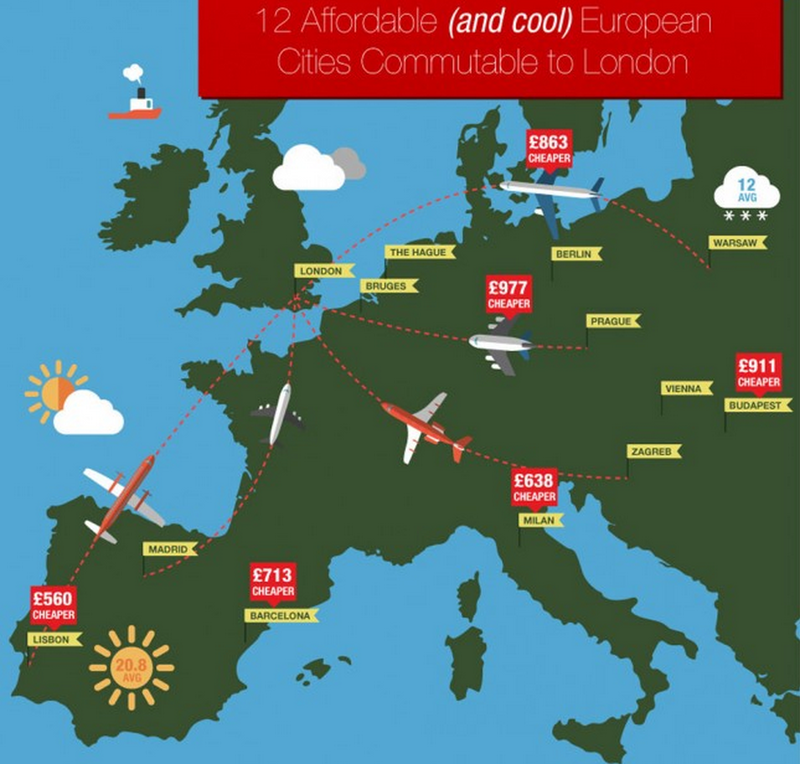 What’s more, a new survey has found that commuting from these 12 European cities to London could save you up to £1000 a month. So if you fancy waking up in romantic Paris or in the warm sun of Barcelona, and then hopping on a train or plane to work, it might be a very beneficial long-term plan. Get your inspiration from these real-life super-commuters. One of the most convenient and popular routes, Brits in Paris enjoy a Eurostar commute as short as one hour and 15 minutes – the same as Walthamstow to London Bridge. Arabella Boyce, 33, is a British freelance stylist based in Paris, but commutes to London three to four times a week for photoshoots. By booking Eurostar tickets way ahead, return fares can be found for as little as €69. Rent in sunny Barcelona is far less than London, making this Spanish city (as well as Madrid) prime choices for Euro-commuting. Sam Cookney, 32, works in social media and moved to Barcelona two years ago to escape exorbitant London rents. He’s found that living in Spain and commuting to London is actually cheaper than living and working in the capital – but only because he makes the commute once a week. Listed as one of the cheapest places to commute from in Europe, Prague is just five hours door-to-door for a painless weekly commute. Steve Couch, who works for PricewaterhouseCoopers, does his commute the other way around – from London to the continent. For several years he travelled between London and Amsterdam for work on a weekly basis while his family stayed in London. Since 2011 he’s been commuting to and from Prague.